We are offering Digital Polarimeters. Domestic advanced digital circuit and microcomputer control. LCD display. Storage of three times results for Re-M (repetition measurement) and calculation of average value. Measurement of dark-colored sample. RS 232 interface. Measurement range -45° - 45°Z, -120º - 120ºZ. Most Suitable for sugar content measurements. 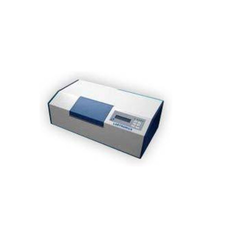 We offer wide range of Digital Automatic Polarimeters with following specifications. Measurement range 45degree" +45degree, -120degree- + 120 degreeZ. Domestic advanced digital circuit and microcomputer control. LCD display. Storage of three times results for Re-M (repetition measurement) and calculation of average value.